Yesterday morning I finished 3 of the preemie quilts and delivered them to my church sewing circle. I forgot to take photos of the finishes. I was exhausted after my afternoon out (driving through 3 construction zones each way in the 23 miles) so I didn't work on any projects last night. 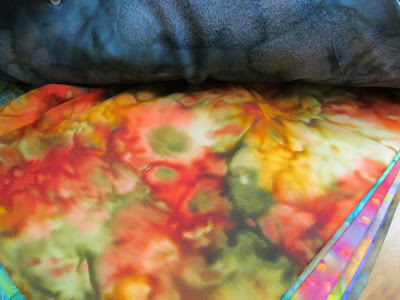 Instead I took piles of batiks off the shelves and went through them one at a time and pulled out most of the mottled fabrics. This one is a little deeper toned than it looks in a photo. This one is one of my very favorites. This one has a more spread out design than most of the others. There were a few like this that are more consistent in one color range and will be easier to cut up and use. I love my stash! Pure entertainment right here in my house after the stores are all closed for the day. Ha, ha- entertainment! I can use that. I don't have cable, so I can say I have fabric to sort through. I would always rather make something, be planning on making something, or prepping to make something. Now I can say I am in entertainment. Thanks for the smile early in the morning. I am reminded of one of my favorite quotes from your blog: "I didn't do any sewing today, just petted some fabric." 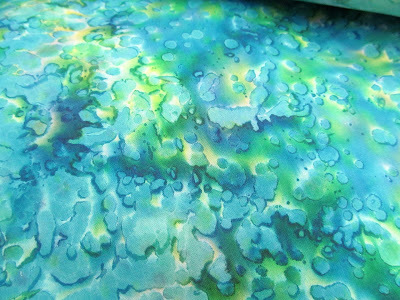 So much of the fabric I buy these days will go unused, but--like you--I enjoy petting it!!!! Petting the fabric and admiring each piece is just the best relaxing and peaceful activity we need after a stressful day. No decisions, no precision, no conversation, no travel necessary. It is good to have a stash that makes you happy and gives you joy! Those mottled batiks are stunning! I love your favorite too. I was going through my stash yesterday too. I know I have way too much but I love it all. What fun it must be to look through your stash! Those batiks are gorgeous! 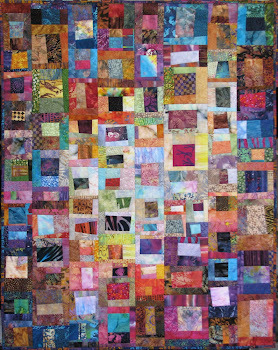 When you buy batiks, do you usually buy a yard, half yard? 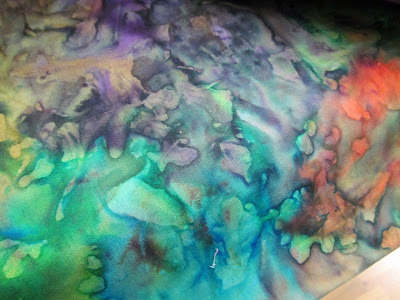 Can you imagine creating those batiks, the colors swirling, bubbling, and blending together,into such a beautiful pieces of fabric, it is quite a process in itself. And you picked the best of the best. 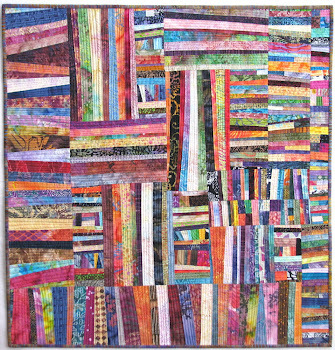 Beautiful batiks. Can't wait to see how these are transformed. I LOVE your last paragraph! I feel the same way about my stash! When I start opening my boxes while looking for something specific, I am always overcome with pleasure at all that I have at my fingertips! I really do feel like I have my own fabric store! Your last comment made me grin. Even though my stash is just a baby compared to yours, it still creates the same feelings of pleasure in me. Creating with color is SO MUCH FUN! 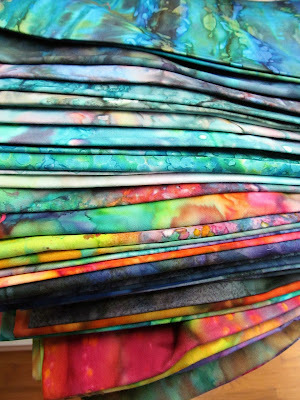 Lovely batiks in your stash. I too love the mottled ones! 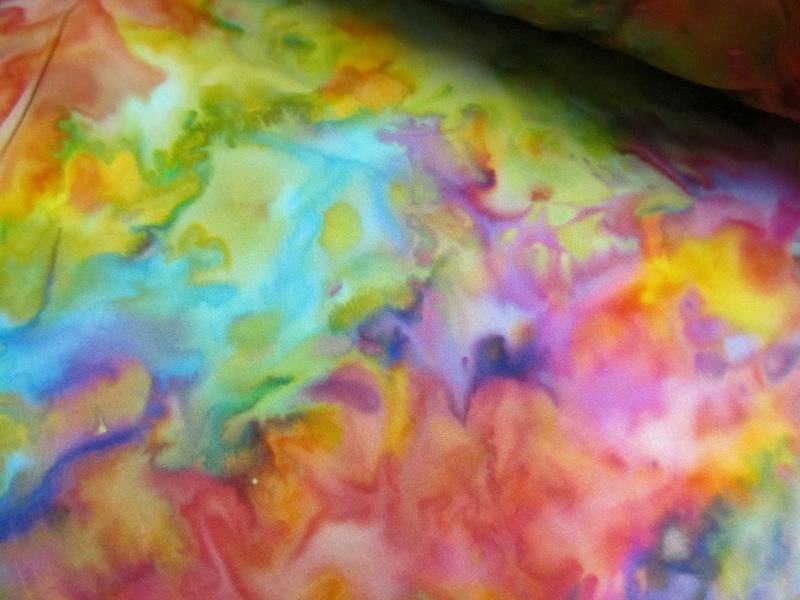 There seem to be many of us who enjoy petting our beautiful fabrics. 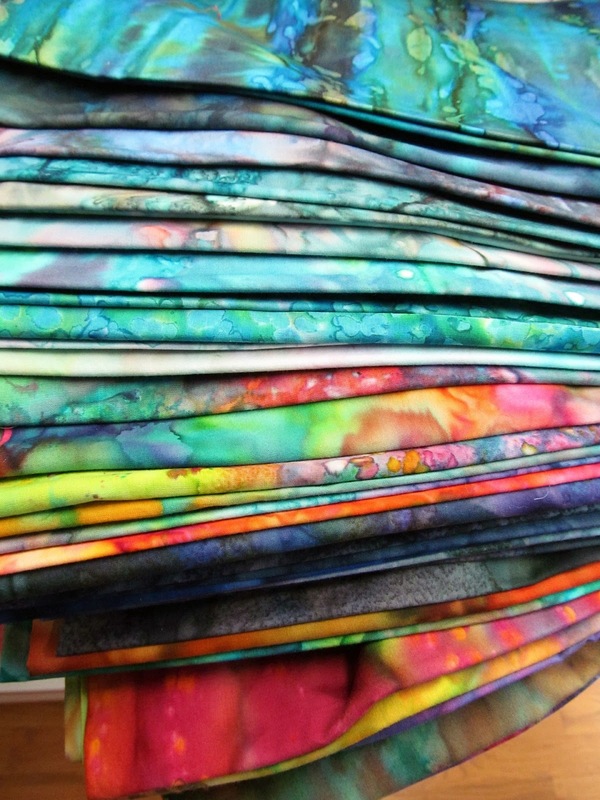 You do have a stunning collection of mottle batiks Wanda, and yes, they are beautiful and I'm hoping you will come up with a quilt to use some of these.